For a place that is only 11 square miles in size, Macau surely packs a punch and turns our wildest imaginations into reality! Last year, more and more Malaysians are considering Macau as their new favorite city destination, also known as the City of Dreams, after Hong Kong and Singapore, and we cannot disagree more. 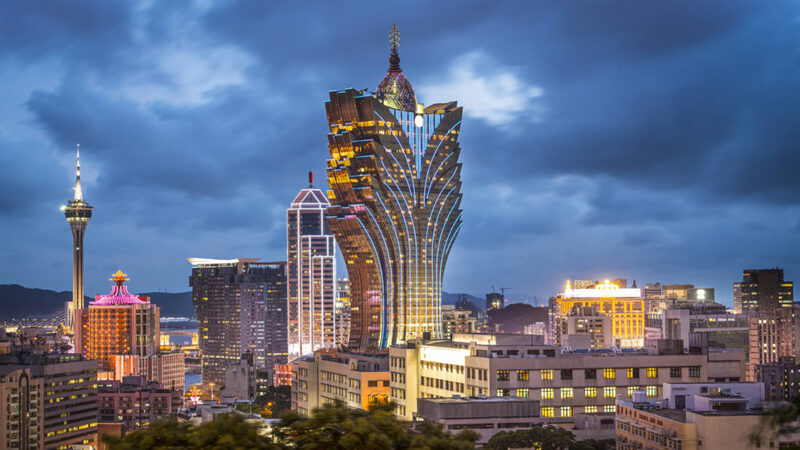 If you are planning to make a maiden trip to find out what the hype is all about, here are 10 best places to visit in Macau. 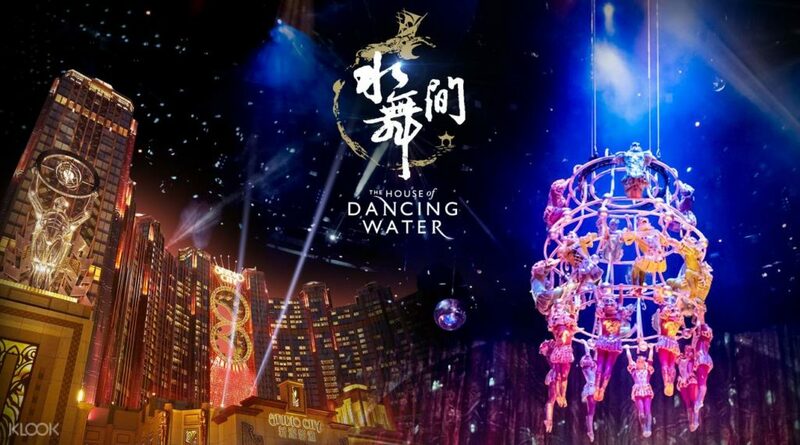 Macau is home to the largest water show in the world, and it is housed in its own 2,000-seat, custom-built theatre. It is so gigantic that the attraction itself costs US$250 million to create! Produced by renowned theatre director Franco Dragone, the show is 90 minutes of mind-blowing action, featuring some of world’s greatest gymnasts, circus artists, dancers, divers and motorcyclists! You could call it a Chinese version of a Cirque De Soleil extravaganza. The stage transforms from a huge pool to a dry stage within seconds – the sheer technical and technological brilliance of it will leave you in awe. 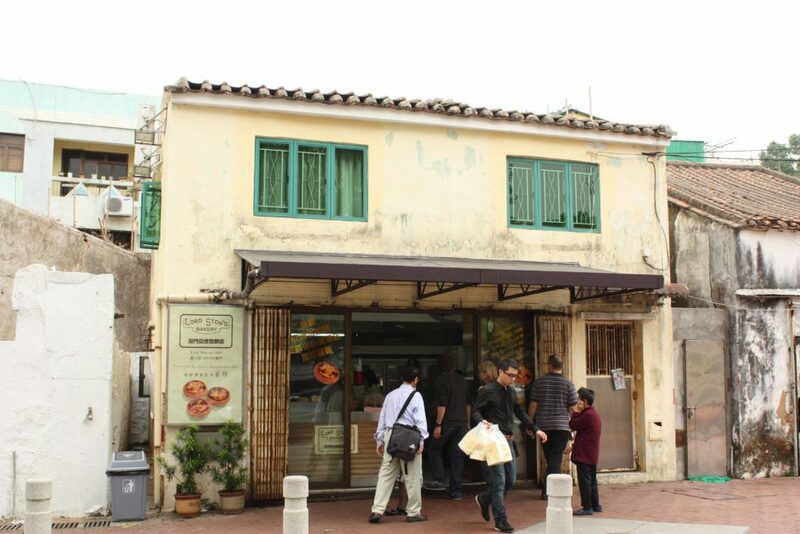 Some may not know that the famed Macau Portuguese Egg Tarts were actually created by an Englishman. One Bakery in Macau, called Lord Stow’s Bakery has become synonymous with these tarts of caramelised crème brulee like appearance, flaky pastry contrasted with rich creamy filling. These days Macau has become something of a pilgrimage for pastry lovers. In fact, Lord Stow’s Bakery now sell around 13,000 of these tarts per day! An edible icon to visit in Macau! 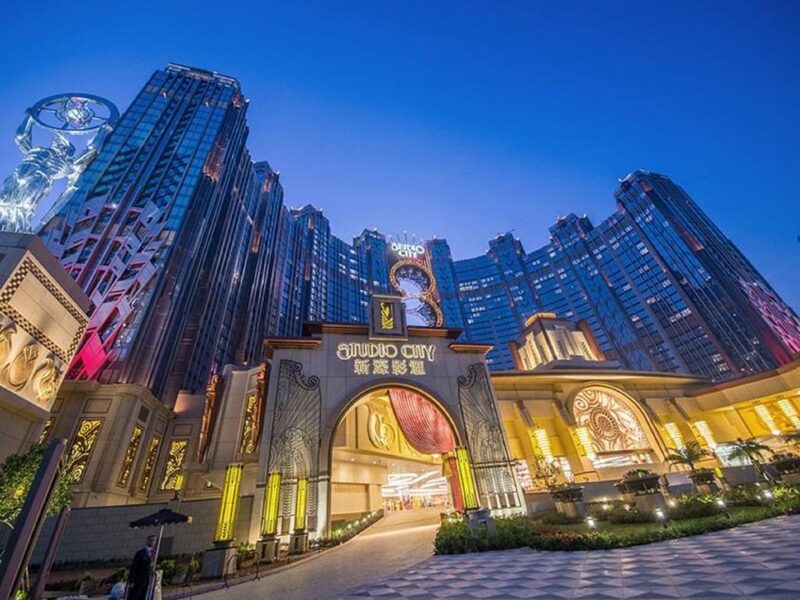 Studio City is a glamorous entertainment resort in Macau with a luxury hotel, iconic attractions, global dining, shopping streets and an opulent casino. It is also Asia’s first leisure resort to integrate television and film production facilities. Some of the most outrageous attractions by world standards are the first and highest figure-eight ferris wheel. Prepare yourself for a pulse-racing adventure on DC Comics’ first Batman 4D flight simulation ride, right at Studio City. This is one of the best places to visit in Macau, by far! The A-Ma Temple is a temple to the Chinese sea-goddess Mazu located in São Lourenço, Macau, China. Built in 1488, the temple is one of the oldest in Macau and thought to be the settlement’s namesake. 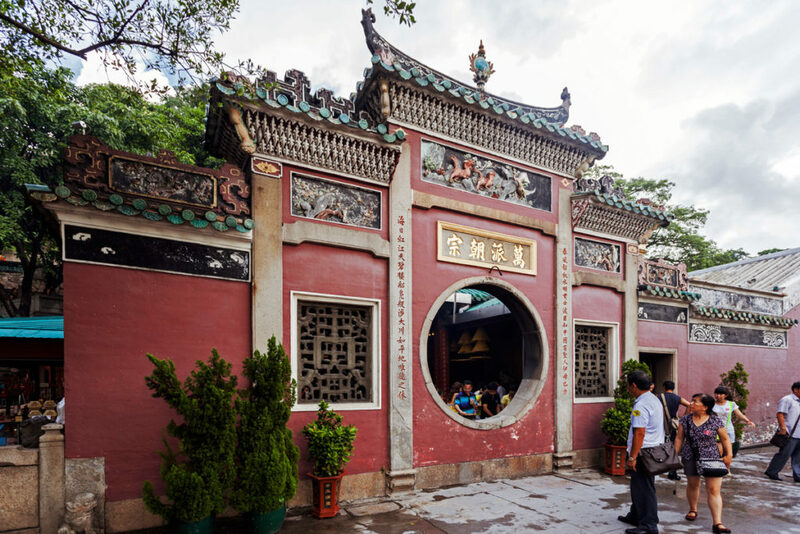 The variety of pavilions dedicated to the worship of different deities in a single complex makes the temple an exemplary representation of Chinese culture inspired by Confucianism. 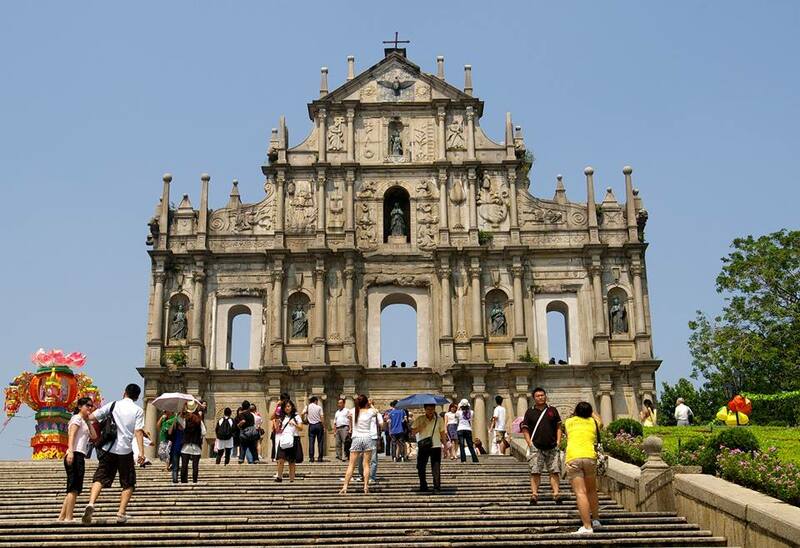 Ruins of St. Paul’s is arguably Macau’s most famous landmark, the Ruins of St. Paul’s is an astounding stone façade. The Ruins has exhibitions of religions artworks including paintings, sculptures and statues. It has a baroque facade rich in ornamentation. Today, most tourists who visit the ruins probably only see the remains of a beautiful old church, but there’s more to its story. In fact, the ruins serve as a key reminder of Macau’s unique roots. In 1835, a fire destroyed the college and the body of the church. The surviving facade rises in 4 colonnaded tiers and is covered with carvings and statues that illustrate the early days of the Catholic Church in Asia. One of the best places to visit in Macau you wouldn’t want to miss! 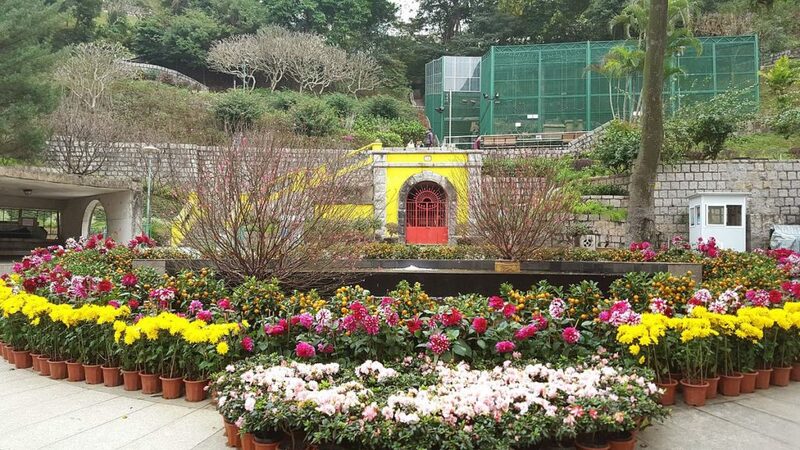 One of the best places to visit in Macau is Flora Garden, situated at the base of Guia Hill parallel to the Avenida Sid-nio Pais, Macau’s largest public park. This European style Flora Garden features a stone pathway that winds upward, past small waterfalls and belvederes, to the top of Guia Hill, the highest point in Macau. Alternatively, you can ride the cable car to the top of the hill and enjoy the panoramic perspective of the city below. 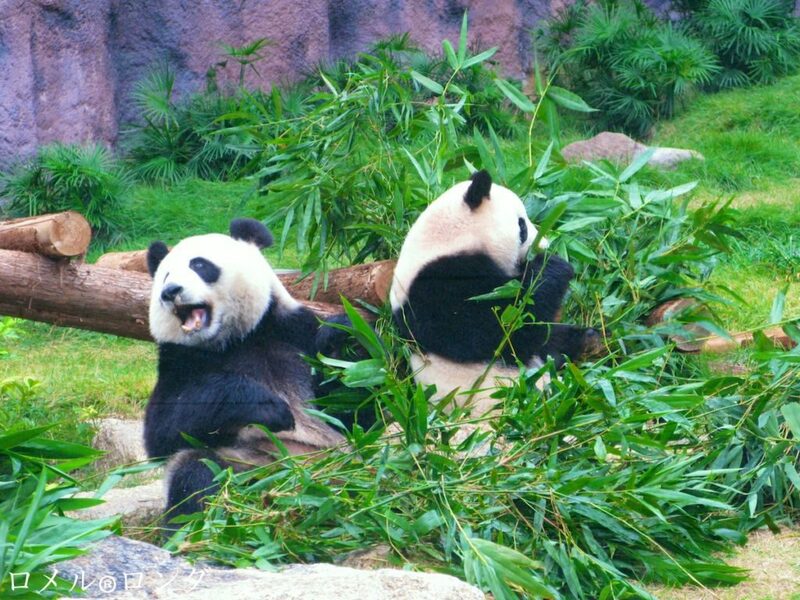 One of the best places to visit in Macau is the Giant Panda pavilion, where it offers a rare chance to catch a glimpse of one of the majestic creations on earth – giant pandas and red pandas at a very reasonable entrance fee. The pavilion is a 3,000m² (32,291 ft.²) state-of-the-art facility that comprises indoor activity quarters and an outdoor yard, as well as buildings where the pandas are fed and cared for. The best time to visit is 3:30 pm – 4:30 pm. It is the feeding time. The Souvenir shop is a must visit. It has lots of cute Panda themed gifts which are very well priced, including coasters, magnets and luggage tags. The Senado Square, or Senate Square is a paved town square and part of the UNESCO Historic Centre of Macau World Heritage Site. 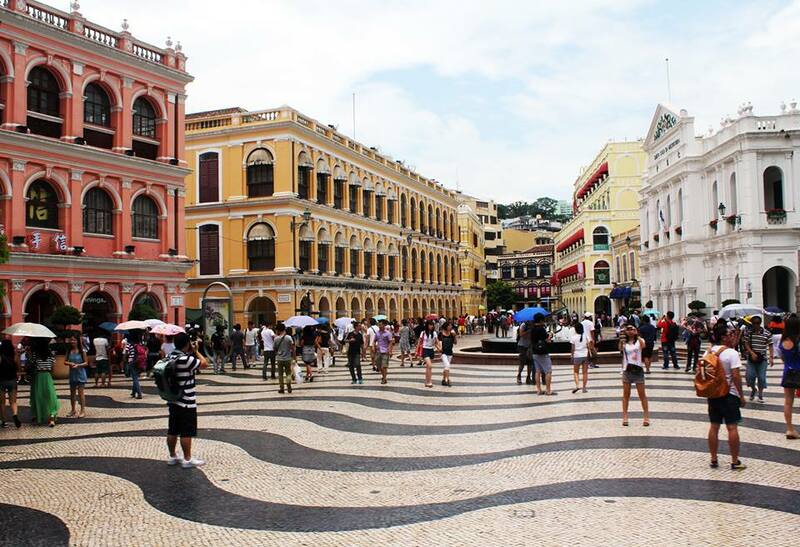 Macau’s famous town square covers an area of 3,700 square meters, and is best visited during the daytime when you can truly appreciate the beauty of the place. A myriad of East meets West influences, the square is surrounded by pastel coloured neo-classical buildings, has Portuguese-style mosaic tiled floors and cobblestone streets. It’s the perfect spot to chill and people watch! Truly one of the best places to visit in Macau! 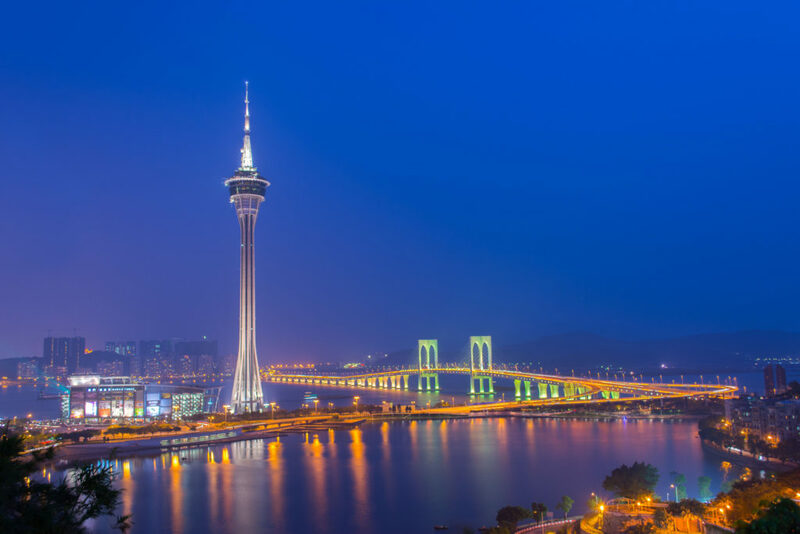 Macau Tower measures 338 m (1,109 ft) in height from ground level to the highest point. Its observation deck features panoramic views, restaurants, theatres, shopping malls and the highest commercial bungee jump in the world – at 233m (764 ft.), of which it holds a Guinness World Record for. 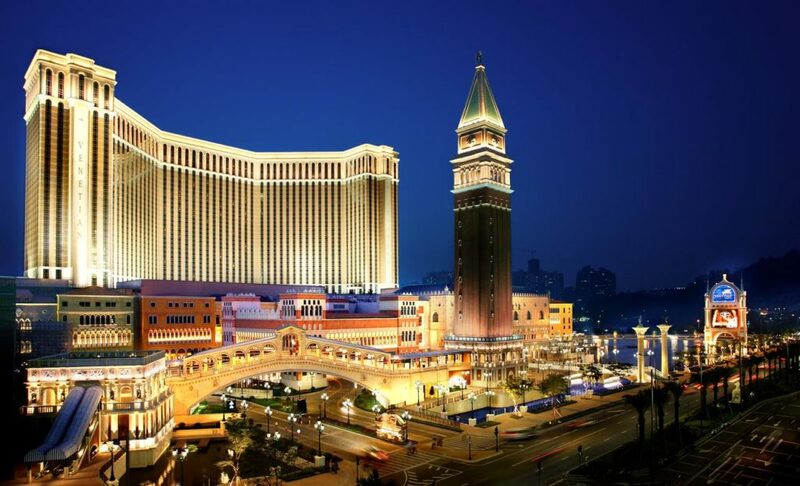 As casinos go in Macau, none are more famous than the Venetian Macau, owned by the Las Vegas Sands company. Said to be one of the 10 largest buildings in the world, The Venetian features 3,000 hotel suites, countless restaurants and shops and has a gaming floor measuring in at over 46, 451 m² (500,000 ft.²). There you have it! These are our picks for the best places to visit in Macau for your maiden trip! Preparation is the key for stress-free travel on any overseas trip, including Macau. 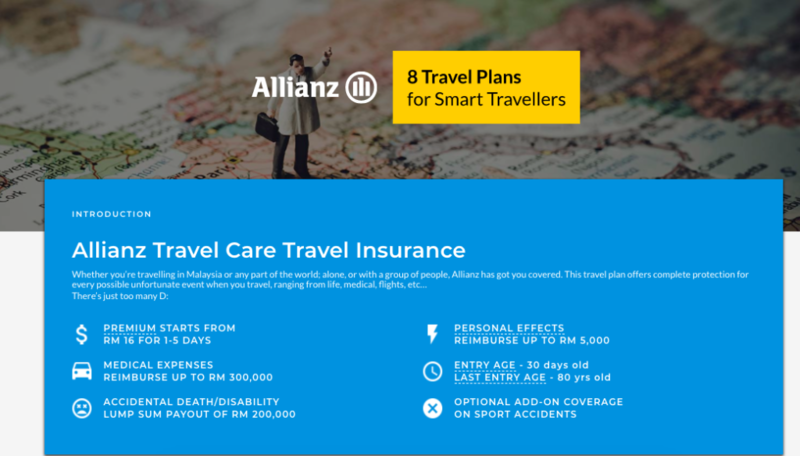 The travel insurance available on our website, Allianz Travel Care is designed to give you and your family the protection you need for total peace of mind during your stay in Macau. Check it and bon voyage!